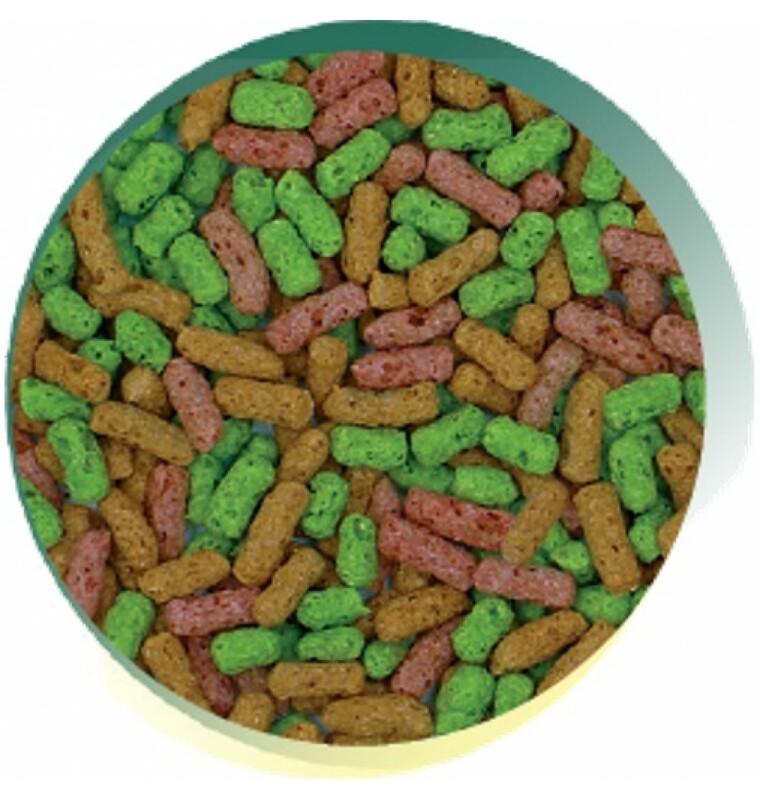 A tricolour blend of ultra-light, low-waste pond sticks suitable for feeding all pond fish. 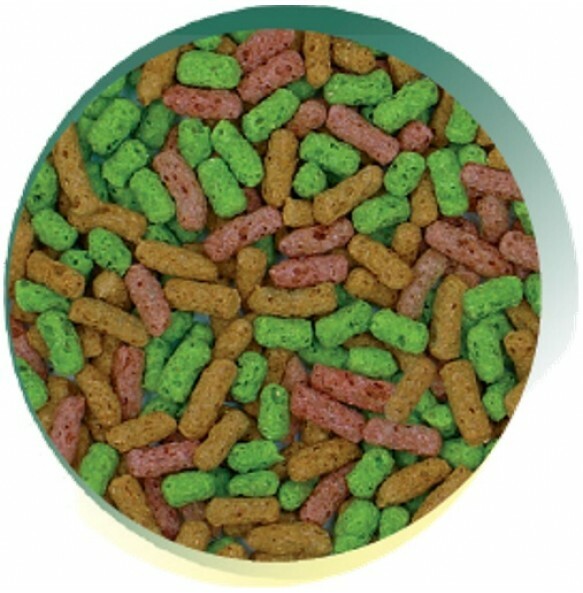 Rice, Soya, Maize, Prairie Meal, Fish Meal, Wheat Germ, Salmon Oil, Minerals, Vitamins, Spirulina. Contains EC permitted Colourants.